The first edition of 200 is now SOLD OUT. Preorders for 2nd Edition start soon. Click here to keep updated. just a quick update to let you know the parts have been delivered, and that we should have RED instruments ready to ship in around two weeks! Thank you for your patience…looking forward to mailing them to you! 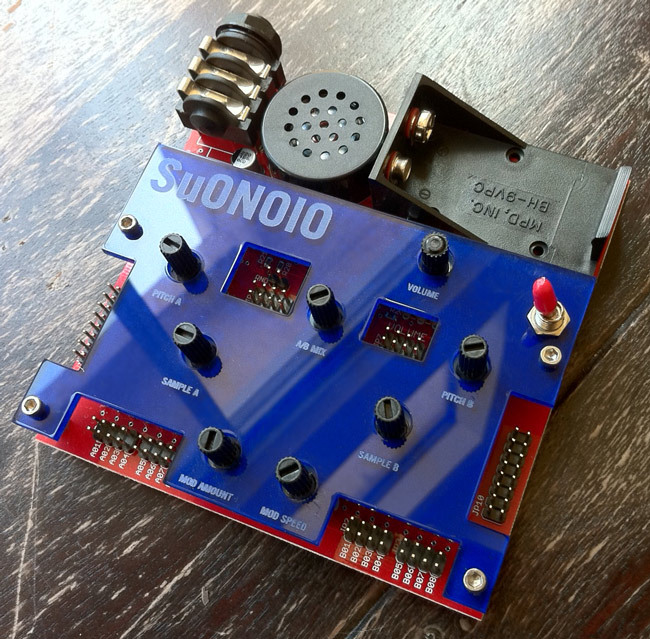 Here’s a 14 minute improv i recorded today with the SuONOIO RED prototype. I hope you enjoy it. 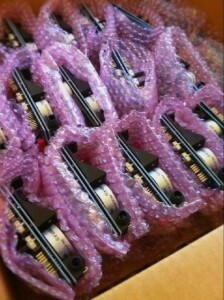 Today we are starting the pre-orders for the new SuONOIO batch. We will also be adding an “upgrade” package for those who already purchased the Blue version, in order for them to be able to use the new samples and integrate a new faceplate. I recently visited Alessandro and we spent some time organizing the production of the upcoming batch of SuONOIO. Things are looking great! 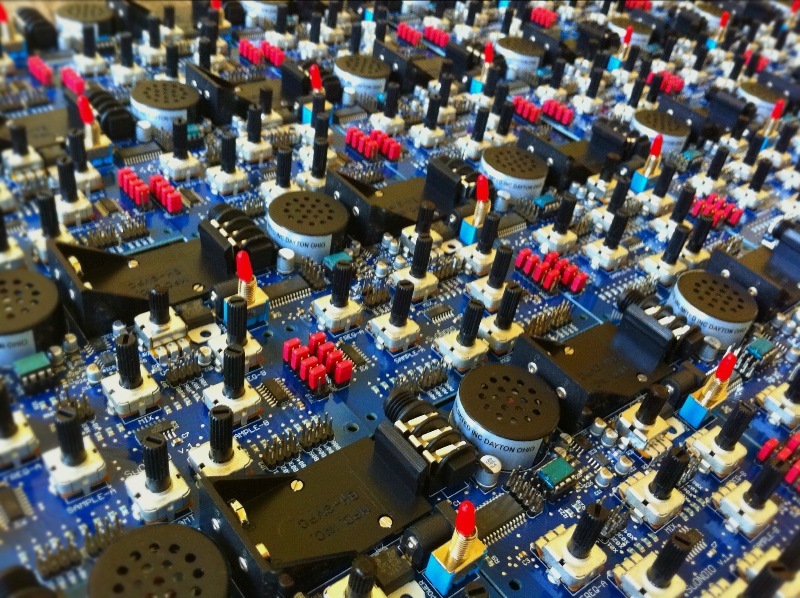 All of the electronic parts are in hand, and we are just waiting on the batch of circuit boards to arrive from overseas which should ship any day now. 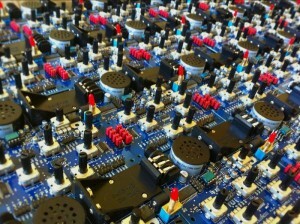 Then, I’ll build an example to confirm that the boards work, and for the factory to use. Then the manufacturing will begin! We will probably be running a few days late, apologies for that. 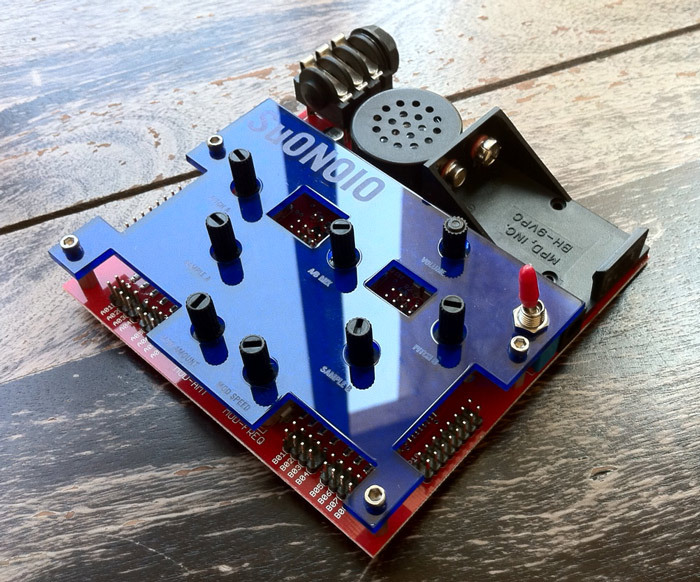 If anybody’s going to NAMM I will have a SuONOIO on display at the Analogue Haven booth in hall E (basement), way in the back corner by the bad snack bar. 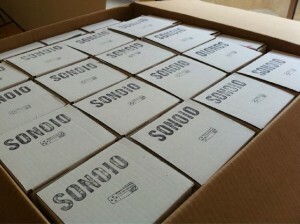 SuONOIO 2nd batch preorders start now. SuONOIO: 2nd batch preorders are now live! Geek bundle is back too. orders ship mid January 2011. SuONOIOs packed and delivered to Fulfillment. Shipping starts this coming week! Excited! 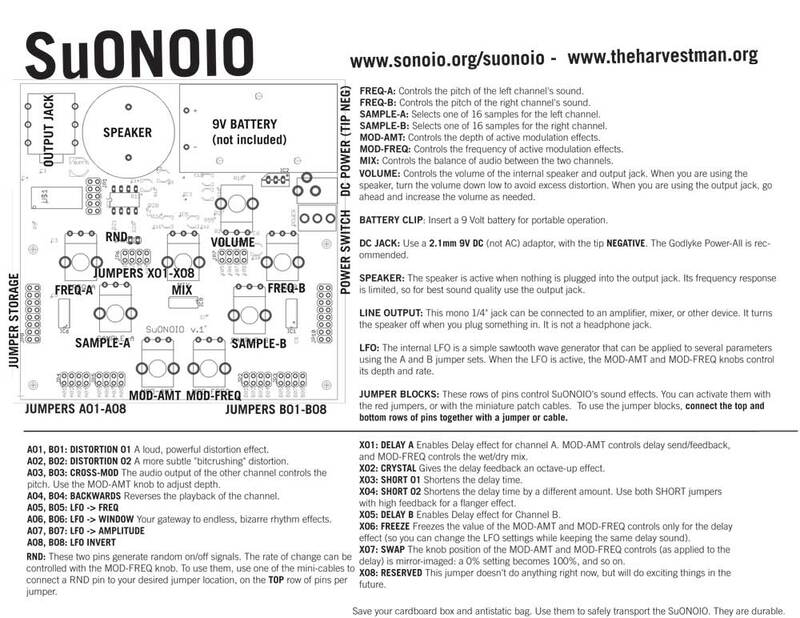 SuONOIO is here! Shipping starts shortly.